The wine-making industry has always played an important role in the history of humanity in both economic and social terms. The wine tradition has such ancient origins that its roots are buried in legends: the Bible attributes the discovery of wine to Noah after the Flood. The earliest historical documents that bear witness to the production of wine date as far back as 5000 B.C. in Mesopotamia in the Fertile Crescent, where the ancient Sumerians began cultivating wild grape vines and fermenting grapes. Currently in Italy and in countries like France and Spain the wine making industry is a leading sector in continual change that is investing heavily in the development of new viticulture and winemaking techniques, with the aim of producing an ever higher quality of wine. 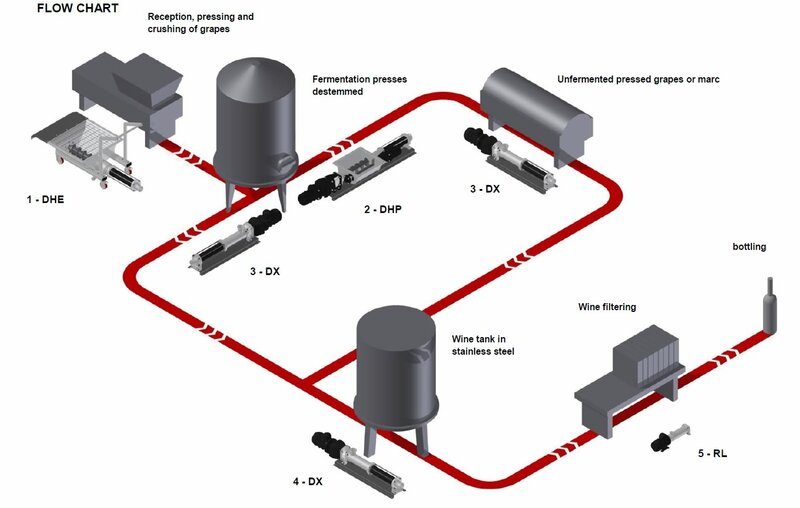 The winemaking process varies depending on the type of wine to be produced and includes all processing and fermentation stages from the delivery of the grapes to the final product. 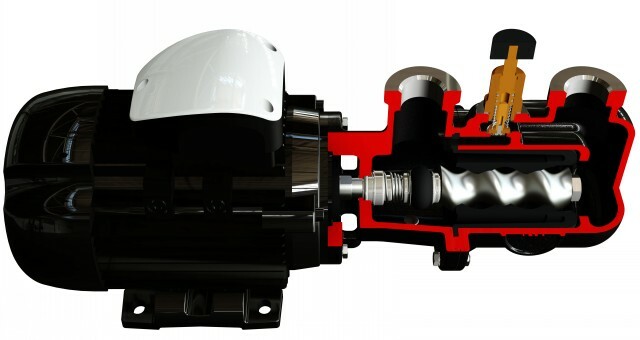 Progressive cavity pumps are ideal for the various process stages as they convey the fluid throughout the entire process in a particularly delicate way, from the berry crushing stage through to the bottling of the wine. The tensile stress to which the pumped fluid is subjected is very limited compared to other pumping systems being pulsation-free above all with heterogeneous products such as for example pomace and crushed and destemmed grapes. 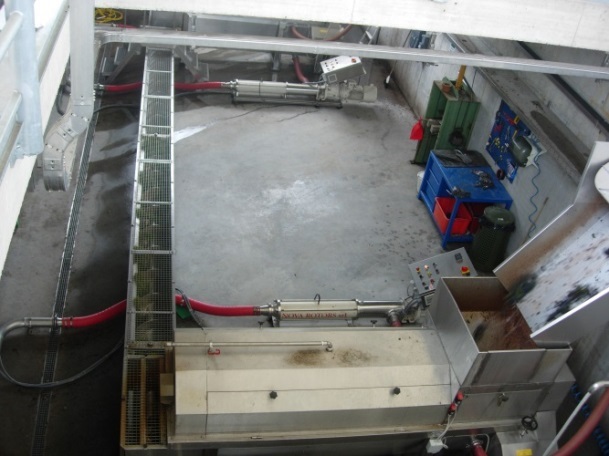 Nova Rotors has worked in the winemaking industry for years seeking to provide the best possible solutions, a wide range of products, services and experts to find the most suitable configuration based on the customer’s specific requirements. The various testimonials received from our customers around the world over the years attest to the commitment of a dynamic company focussed on meeting the constantly growing market demands. 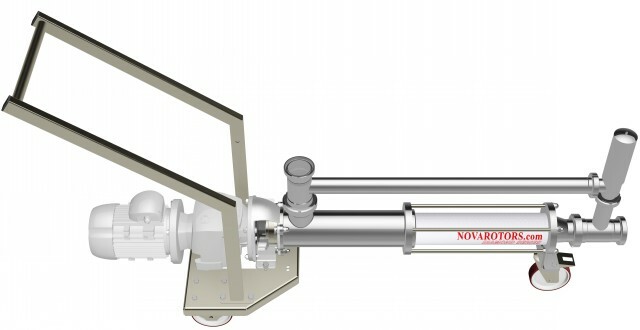 Nova Rotors progressive cavity pumps are developed scrupulously in compliance with the strictest hygiene and industrial standards to guarantee high standards of quality, reliability and duration, by providing the best solutions throughout the entire winemaking process. In particular special attention has been given to each transition from one process stage to the next, by making various construction types available in order to optimise each and every transfer. Flanged industrial series ideal for heavy duty applications. 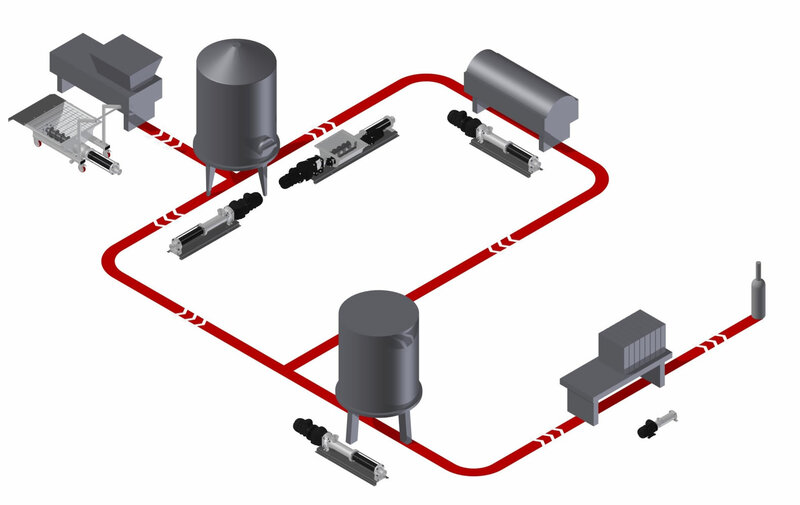 It is the best solution for the industrial sector for pumping a vast range of fluids; available with UNI, DIN and ANSI flanged and GAS BSP threaded connections. 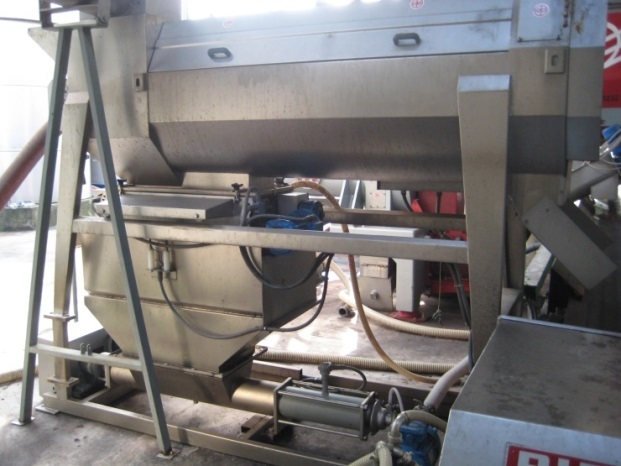 Model with a large eccentric hopper and integrated trolley, ideal in the winemaking industry for pumping crushed grapes with or without the stems. Standard AISI 304 stainless steel construction for all components. Transfer of wine from stainless steel tanks to wood barrels for aging. 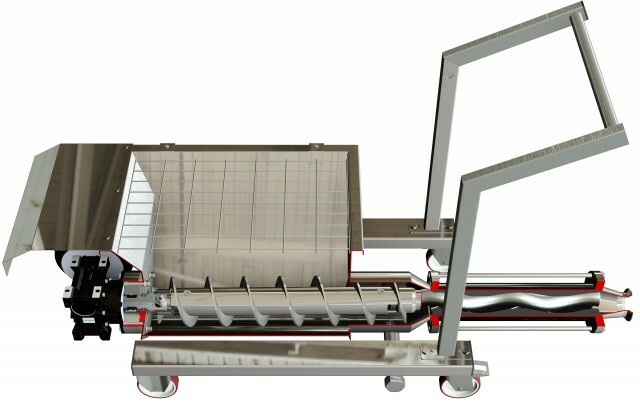 The transfer occurs without any tensile stress and is pulse-free to retain the organoleptic characteristics of the wine. 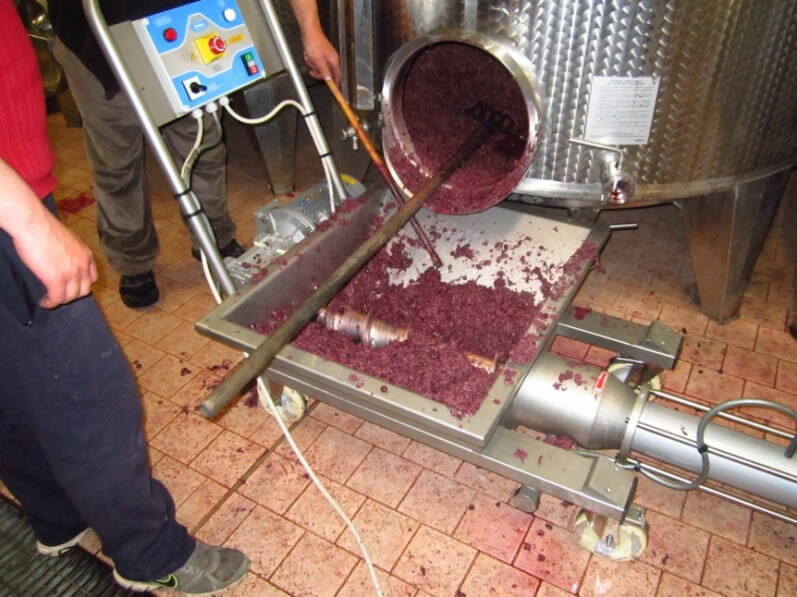 Transfer of the must obtained from pressing the pomace to the tanks for the next aging stage. using a trolley-mounted press. The enlarged screw guarantees a constant flow rate. using a hopper pump connected directly to the machinery.